I don’t release new research very often, instead preferring to reserve it exclusively for members of our paid sister services so that every investor who signs up has the opportunity to maximize profits. First there was the Money Map Report in 2007. Then, High Velocity Profits in 2015. Folks who have followed along as directed have had the opportunity to join in on literally hundreds of profitable opportunities. And with numbers like 276.92%, 270.97% and even 392.16% in the former and 285.52%, 347.11%, and 417.24% in the latter, we’re talking about the kind of wealth building recommendations that could change your life. That’s why I’m coming to you today. What I want to share with you might just be the most powerful moneymaking technology I’ve ever developed. The technology – what I call the Arbitrage Detection Grid System (or “ADG System” for short) – took decades to build, and cost of more than $5 million. It originated in NASA’s Jet Propulsion Labs and is closely related to technology that was absolutely critical to the Mariner missions to Venus and Mars. From there it’s a matter of “arbitraging” the difference between what Wall Street thinks a stock is worth today and what the ADG system suggests it’s really worth. The capitalizing on the imbalance. The net effect is a pronounced “straightening” of otherwise chaotic price charts. 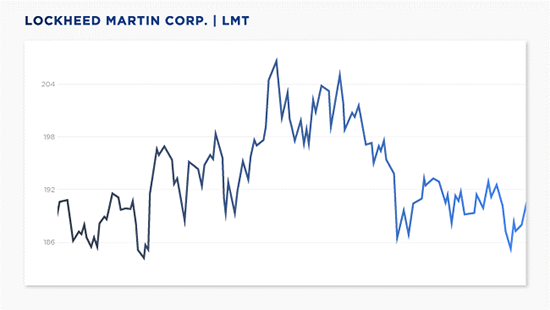 Take Lockheed Martin Corp. (NYSE:LMT) as an example. The chart is filled with huge swings, driven by a witch’s brew of supercomputers, high-speed traders, and big institutions who take prices up one minute, then down the next. There’s absolutely no rhyme nor reason to the big moves. Every time these big stock market players move price, they create an imbalance savvy investors can identify and exploit. In fact, that’s why I created the ADG System… to do just that. And that’s where the NASA-based technology comes in. In order to successfully pilot a spacecraft millions of miles through space, you have to be able to calculate trajectories, gravity, orbital pathways, and more. But most of all, you have to calculate the most efficient path to get where you want to go. That’s what my new research does. The ADG System identifies price imbalances and the resulting arbitrage potential between what Wall Street thinks a stock is worth and its “True Price.” Then, it plots the most “efficient” course needed to get you and your money there. The formerly chaotic chart I showed you a moment ago suddenly “straightens out” – hence the name I chose for my new research service: Straight Line Profits. If you’re like a lot of investors, this idea is probably pretty darn appealing given current market conditions. 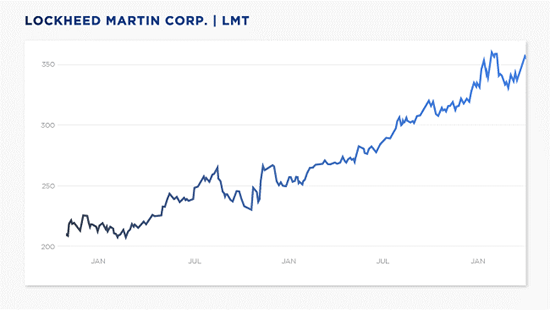 Being able to chart a stock’s most probable path and the most efficient way to get there before the market catches on is the stuff of legend. Not to mention potentially huge profits, too. I can’t say too much more today but what I can do is invite you to watch the presentation I’ve prepared to help you learn more – going over more in-depth how this system works, what kind of technology goes into the ADG System, and how you could use my recommendations to potentially earn $240,000 by this time next year. I don’t want to lose my money!